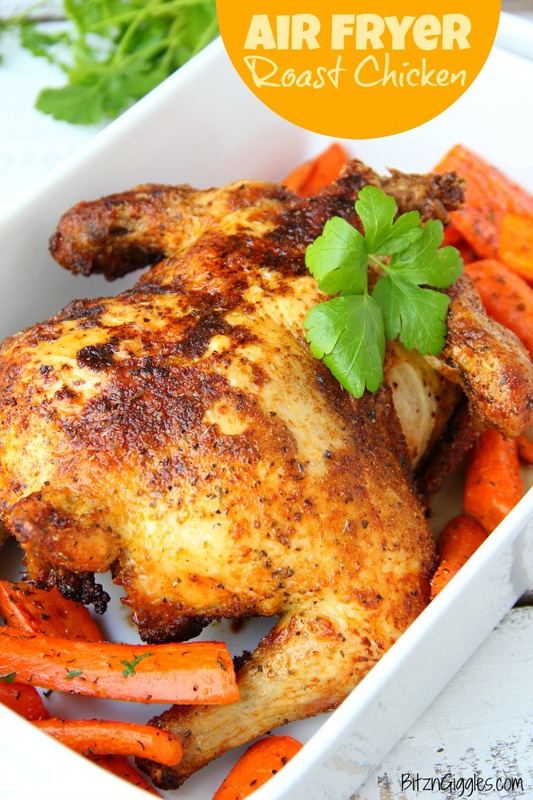 Air Fryer Chicken – Deliciously moist chicken that’s flavorful and crispy on the outside! 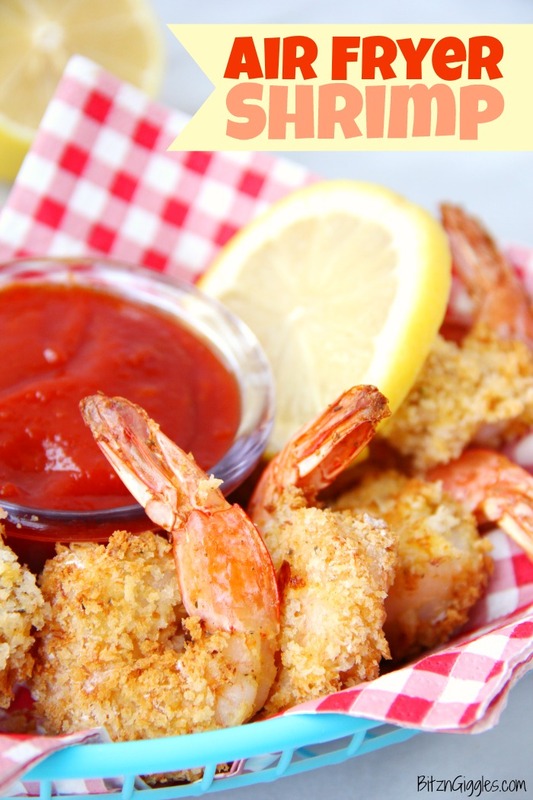 So easy to make in your air fryer in no time at all! How has it taken me this long to tell you about one of my favorite Christmas gifts I received? It’s my air fryer. How much do I love thee? Well, let me count the ways. I’ve made so much in the air fryer already. Baked potatoes, pork chops, chicken, steak, fish, shrimp, corn on the cob and the list goes on. Today, however, we’re roasting a whole chicken, and let me tell you what. . .it’s completely delicious. Can I make a confession? I never roasted a whole chicken EVER before I got my air fryer. Josh has always been the one to make them in our Big Easy oil-less deep fryer. And when we use that, we’re usually cooking two chickens at a time and serving a crowd. I love that it’s so easy to make a small chicken in the air fryer. I used a 4.25 pound bird and it was the perfect size for our family of four. If you’re cooking for less, just get creative with the leftovers and make something like this Chicken & Potato Chip Casserole. For seasoning, I use my favorite dry rub recipe. For an air fryer, dry rubs, breadcrumbs and Panko work best. Liquid marinades can be used but they’re more messy and have the potential for causing some smoke in the house when they drip through to the bottom of the fryer. My air fryer is a 5.3 quart and big enough to feed a family of four. This particular brand also makes a 3.4 quart model but I wasn’t sure the basket was going to be big enough for us. I have to say, I’m really happy I went with the larger size. I normally flip the chicken about 30 minutes into cooking and then roast for another 20 or until the internal temp reaches 165 degrees Fahrenheit. I love surrounding the air fryer chicken with these honey roasted carrots. It’s the perfect weekend or even weekday meal. 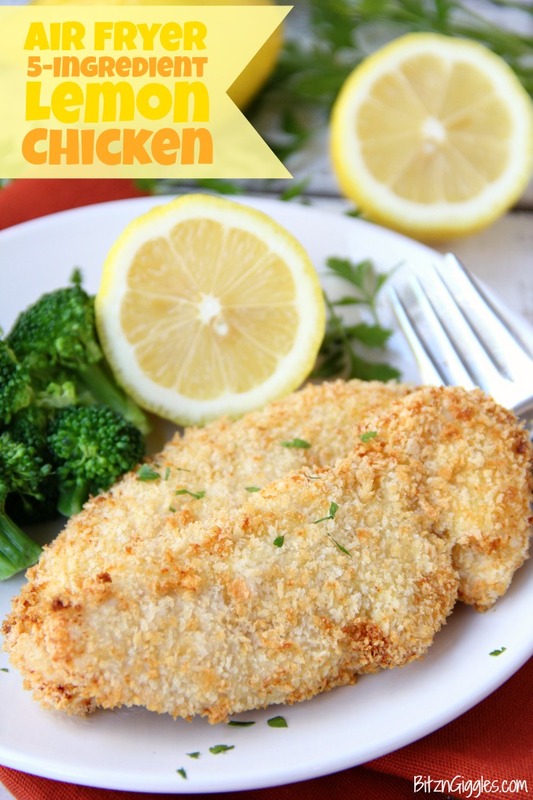 5-ingredient lemon chicken. It’s quick and it’s delicious. 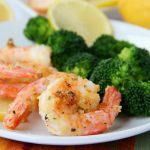 If you’ve been thinking about purchasing an air fryer but were on the fence before, I hope this post today inspires you to go out and pick one up. . . or order it online. They are wonderful, and all of the food comes out crispy and flavorful. 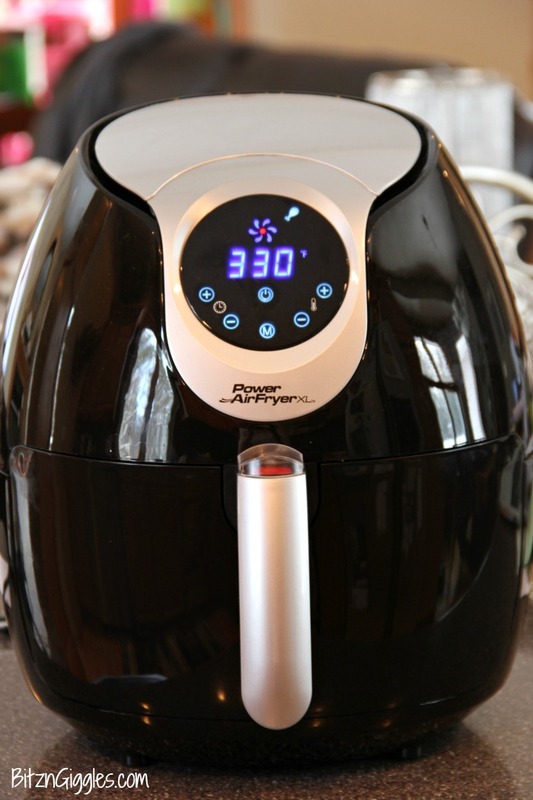 Do you already have an air fryer? If so, let us know how you’re enjoying yours and what you’ve made so far! 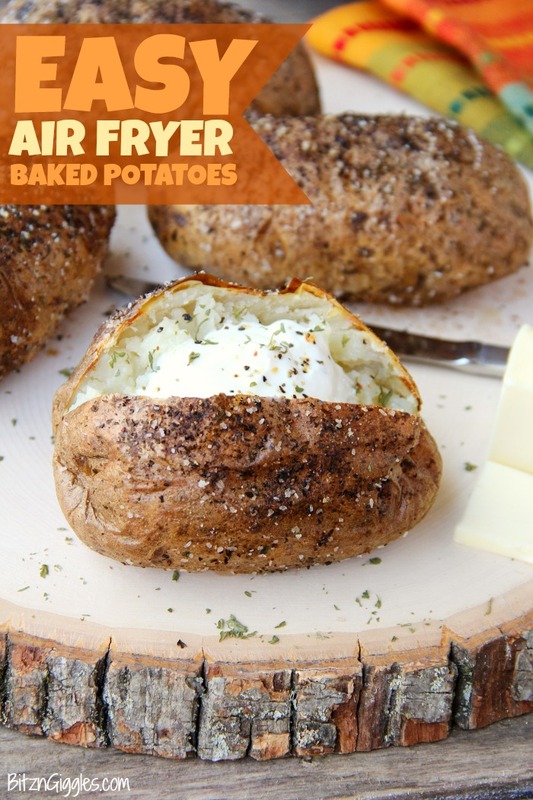 Ready for More Delicious Air Fryer Recipes? I own the Philips XL but have never used it for chicken. I need to get more adventurous. Am going to give it a go! Thanks for the suggestion! Yes, you need to try to make a chicken in your air fryer, Anna. 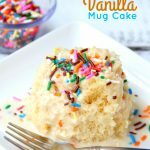 You may never make one in your oven again! I can’t wait to hear if you try it out! I used my XL fryer for the first time yesterday. Chicken wings, of course. Delicious. Today I am making this chicken! I am thrilled! I also want to roast veggies after. I need to play around with the times. Thank you for the recipe! You have to let me know how your chicken turned out, Dru! I can’t wait to hear! I love my air dryer. I’ve made French fries, chicken nuggets, chicken wings, steak, chicken, salmon & heated cold pizza. I try almost anything in it. My only problem is when I have to bread things, such as fried chicken wings the breading doesn’t come out the same as it would be pan fried. Do you have any suggestions? I see you make lemon panko chicken in the air fryer. Do you do anything special to the panko bread? Well, I always make sure to flip the meat halfway through the cooking time to ensure both sides of the meat crisp up. When I make the lemon chicken I dredge it in egg before I add the breading so it sticks to the meat better as well. You want a good coating so the outside of the meat is crispy all around. Julie, I had the same problem with the breaded items. I found if I sprayed the food item with cooking spray they turned golden and crispy. 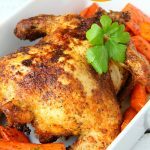 I own the power air fryer but have never used it for chicken but after reading this article I want to try this because it looks delicious I need to get more adventurous. Awesome recipe. Love the dry rub. Made this today. My Son & I LOVED IT!!! I have a 8lb whole chicken. wondering how long to cook cause all I see is smaller ones? 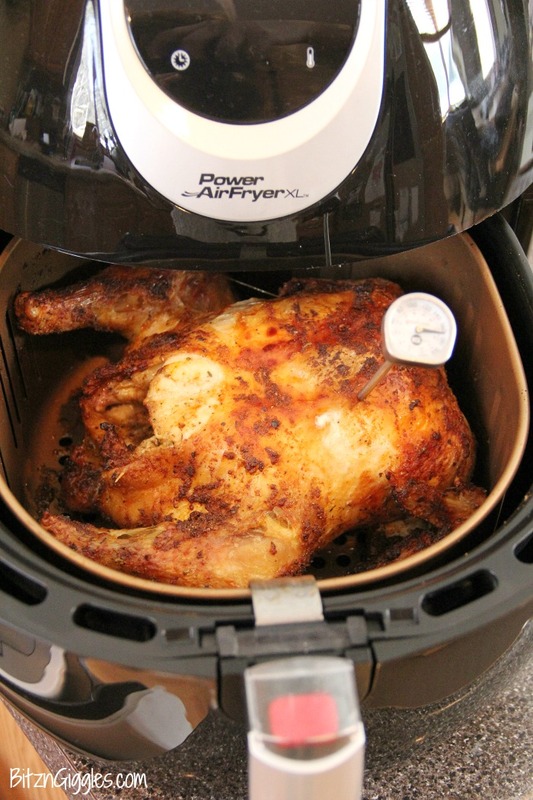 Do you think your air fryer is large enough to roast a 8 lb chicken? It very well could be. The one I made was 4.25 lbs. You basically need to increase the time for each side of the chicken and continue to monitor the temp with a meat thermometer. The chicken is done when the internal temp is 165 degrees. I would love to try this recipe can you tell me how long i should cook my whole chicken? Well, the chicken I roasted was 4.25 lbs. I put it in at 330 degrees for around 50 minutes, flipping the chicken after about 30 minutes. You’ll need to adjust time based on how large your bird is. Just make sure the internal temp is 165 degrees Fahrenheit before you take it out of the air fryer. I will be making your Roasted Chicken and honey carrots tomorrow. My first meal in my new air fryer. I will let you know how it comes out. I’m so glad you enjoyed it, Diana! Wasn’t it super easy? 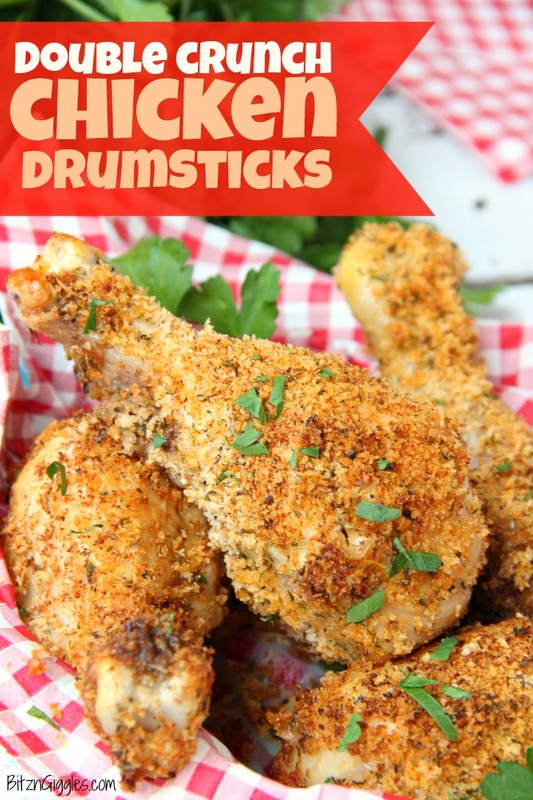 I have two other chicken recipes I’ll need to share for the air fryer. I’ll add them to my list for this fall/winter to post! Just made this recipe. First time I made a whole chicken. It taste good. Another recipe to add. So glad you enjoyed it, Raquel! I just got a brio air fryer. It says no oil needed and the instructions say do not use oil. But one recipes say to rub oil on the chicken. Yours did not mentioned that and just to spray the pan with non stick. That’s to prevent the chicken from sticking to the pan but other than seasoning do you put anything else on the skin? I just spray the pan with nonstick spray. Rubbing oil on the chicken makes the chicken brown faster. I wouldn’t advise it unless you wanted to do it further into the cooking process for additional browning. When during the chicken cooking would I add potatoes and onions? In my air fryer I don’t really have room for potatoes, onions and the chicken. If you can fit them in with your chicken, check your air fryer cooking guide for suggested time and temp for the onions and potatoes. Does the chicken need to be thawed since it’s so large? It sounds like a crazy question as I would think yes.. but I’ve seen post that says you can put stuff in frozen so I didn’t want to assume. Yes, the chicken should be thawed. Good luck! I’ve never stuffed any of the chickens I’ve made in the air fryer so I can’t answer that question. If you do end up trying, please let us know how it turned out! Just got an air fryer. I want to make your dry rub but cannot have the brown sugar. Will it still taste o.k. without that? It just will taste a little less sweet. It should still be okay. Good luck!! Made your recipe for the chicken, it came out great we loved it. ran all over the place. How can I prevent that in the future. I lift the chicken out of the basket into a baking pan to cut it up. Try that next time! Glad you enjoyed the chicken! My phillips xl highest temp is 200 .how does that equate with your 330deg? Thinking about the whole chicken. Hi Pat, that doesn’t sound right. Are you talking Fahrenheit temps? If so, your air fryer should at least get as hot as 400º Fahrenheit. I did this and it was oh so good. i put a stuffed bacon wrapped cream cheese inside the chicken for seasoning and it was oh so good. Ive cooked everything from corn dogs to meat loaf–makes the best potatoes also! I love your cream cheese bacon version of the chicken. 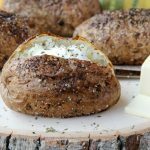 I find out more and more uses for my air fryer every day, too – and I agree on your potato comment! 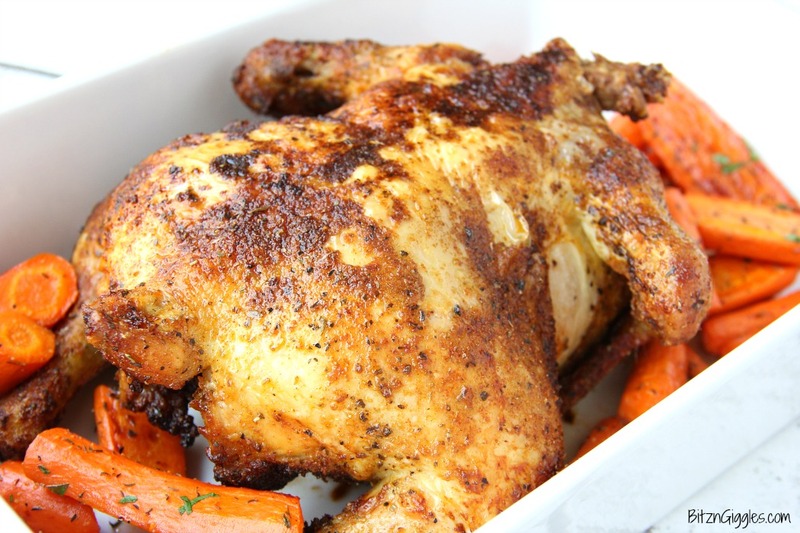 I am so excited about this recipe, I love Chicken and love my fryer! Just got my XXL air fryer yesterday, cooked bacon in it last night,and my kitchen got a little smoky, hoping that doesn’t happen every time I cook something in it! I really want to try your chicken recipes, so glad I found your blog! Oh and the brussel sprouts or right up my alley!! 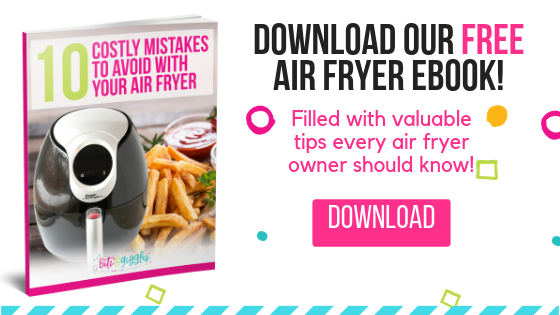 You’re going to love your air fryer, Carm! So glad I found your blog. I have not made much in my fryer because I could not find recipes and only a pamphlet came with my fryer. I am going to try your roast chicken. Wish me luck! Good luck, Marcella! Please let me know how your chicken turned out! Let me know how your chicken turned out, Charlotte! I’ve got leg quarters in my air fryer now just turned them after 30 min. I think the leg may be over cooked before the rest get done. Any suggestions? You could always detach the leg from the quarter if the leg seems to be cooking faster. I never had an issue with the legs becoming overcooked when I’ve roasted the whole chicken before. I’ve never tried leg quarters though. This was outrageously delicious! 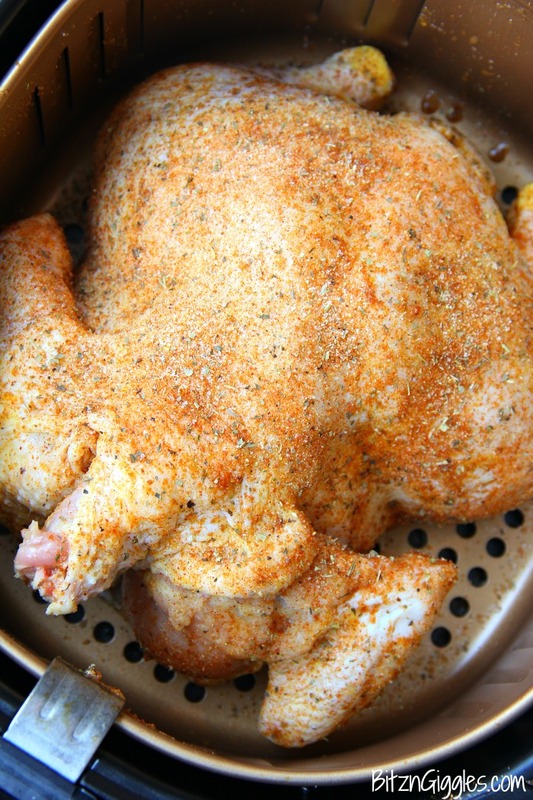 I did use my own seasonings and I sprayed my chicken with EVOO as well as the basket. Perfect cooking method! Thank you! I’m glad your chicken turned out, Paula! I believe it would be 200ºC? I drizzle my breaded food with olive oil if I have some on hand and I normally do but I’ve also have used other oils vegetable oil also works well. Yes! I didn’t use a rack for mine. Elizabeth, no! Do not give up! Try again and come back and share your results! Yes, make sure you start with a thawed bird – the cook time is for a chicken 3-4 lbs.